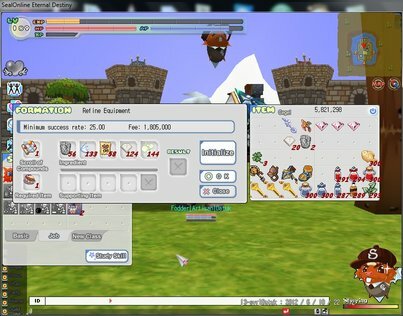 Refinement allows players to improve their equipment. Equipment can be put into three different upgraded types: normal, G, DG and GX. This will increase the options of the equipment, although failure will result in losing that item. Refinement can be performed on weapons, armor and accessories. Refinement requires manuals along with various level requirements. Weapons have additional refinement options, allowing players to add completely new stats to their equipment depending on the type of manual used.